Africa today is a continent that remains rooted in the 19th century while entering the 21st century. Africa today remains a continent seemingly cut-off from the rest of the world and ignored until a major humanitarian crisis or terrorist attack brings its misery into the news. Democracy has taken root in very few countries - power is held by war lords, autocrats, tribal chiefs, and dictators. A major decline in the operational capacity of many Sub-Saharan militaries occurred in the 1990s after the end of the Cold War. It is not that these pre-Cold War militaries were any more professional. However, they at least had the bare minimum of serviceable equipment. This equipment was donated and serviced through generous cooperation agreements intended to support the ongoing superpower rivalry. The sudden end of the Cold War sounded the death knell for these outlays. Deprived of the support from both Western and Eastern Blocs, the Sub-Saharan militaries were unable to maintain rvrn illusion of cohesion and operational capacity. Only South Africa still has significant operational “blue water” maritime capacities. African air forces are disappearing. With the end of the Cold War, Africa saw a proliferation of rebel movements, and experienced problems involving small arms and refugees. Intra-state conflicts spilled over national borders with greater frequency and assumed regional dimensions. Vast quantities of weapons, especially small arms used to fight wars of independence, remain in circulation and help fuel present conflicts. Poor governance and the inability of states to support their citizens have likewise created internal conflicts threatening peace and security. Frustration with the International Criminal Court has grown in Africa because the court has convicted only one man, an African warlord, and all others it has charged are also Africans. The ICC has opened investigations into eight cases, all of which are in Africa including Uganda, Democratic Republic of the Congo (DRC), Central African Republic (CAR), Darfur, Kenya, Libya, Côte d'Ivoire and Mali. Five of the eight cases were referred voluntarily by the African governments in question; two through a UNSC resolution supported by all but one African member in the council at the time and the Kenyan one was opened at the ICC prosecutor's request. Critics say the court only targets Africans, but remains oblivious to atrocities, war crimes and crimes against humanity committed in other parts of the world. The ICC denies the accusation. London-based rights group Amnesty International urged African nations meeting in the Ethiopian capital not to cut ties with the court, saying victims of crimes deserved justice. "The ICC should expand its work outside Africa, but it does not mean that its eight current investigations in African countries are without basis," Amnesty's deputy director of law and policy, Tawanda Hondora, said in a statement. 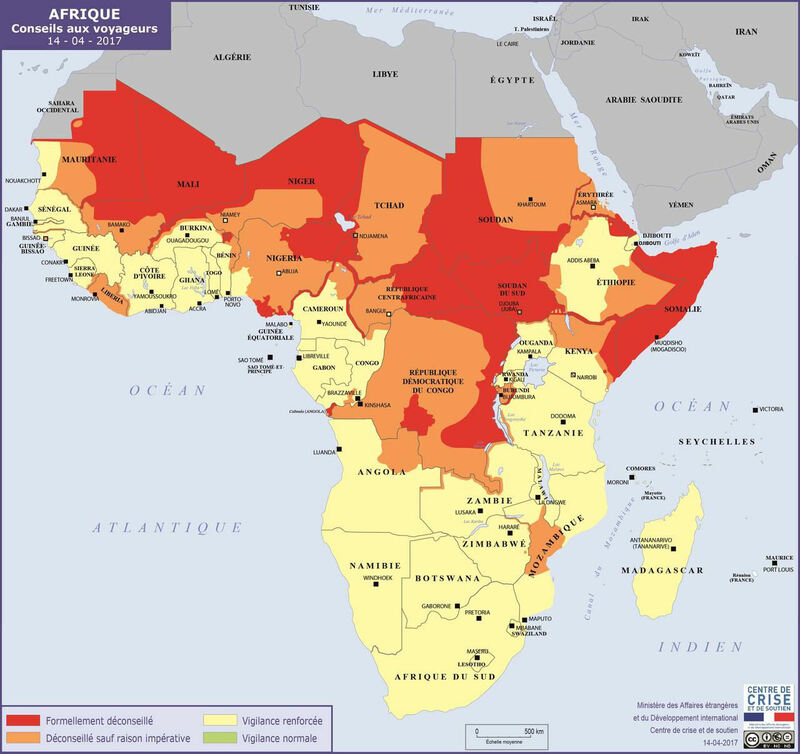 For policy purposes, the continent of Africa is conventionally divided between the predominantly Arab states of North Africa [the southern coastline of the Mediterranean Sea], and Sub-Saharan Africa. While the 22 Arab States face very different economic and development challenges, they share many political and social characteristics. The Maghreb countries (Morocco, Tunisia, Libya and Algeria), which are well-advanced along the demographic transition, are dealing with ageing populations. In the past decade, Africa has been home to six of the 10 fastest-growing economies in the world – a number that is only projected to grow. According to the International Monetary Fund, the region is on track to grow by five percent this year, and the World Bank has noted that Africa could be “on the brink of an economic takeoff, much like China was 30 years ago and India 20 years ago.” Trade between Africa and the rest of the world has tripled in the last 10 years, with an increase in exports of more than 200 percent and an increase in imports of 250 percent from 2001 to 2011. This region is enjoying real economic growth after a decade of declining per capita income. The past decade has also witnessed a definite, albeit gradual, trend toward greater democracy, openness, and multiparty elections. Yet, in much of the continent, humanitarian crises (refugee problems, high AIDS/HIV rates), instability, and conflict persist. Overlaying these tensions is the potential spread of jihadist ideology among disaffected Muslim populations and the region's growing importance as a source of energy. Sub-Saharan Africa faces serious political, economic and social challenges. Sub-Saharan Africa remains the region most affected by the AIDS epidemic. About half of African countries have declared AIDS as an emergency. Yet, in spite of an unprecedented global response, the rate and scale of implementation of programs remain low. Internet access is more scarce in sub-Saharan Africa than anywhere else in the world. African Internet users account for less than 5 percent of the world’s online population, and many countries’ Internet penetration rates are less than 1 percent. With nearly 50 states, Sub-Saharan Africa plays an important, often decisive, role in international organizations and at multilateral meetings. The region possesses natural resources important to the world economy — oil, copper,iron, bauxite, uranium, cobalt, chromium, platinum, manganese, gold, and diamonds. While developed countries need to buy African raw materials, Africa requires capital investment, new technology, managerial skills, and markets to develop other products. Continuing regional conflicts and economic instability make Sub-Saharan Africa a potential arena for rivalry and confrontation between external powers. The emerging face of Africa is one of promise and stability. Progress is being made in many areas that offer unparalleled opportunities to consolidate successes and bring about sustainable change. Nonetheless, three out of every four Africans living in poverty and the challenges that must be confronted in many parts of the continent are daunting. The African Union vigorously denounces unconstitutional seizures of power in member states. Perpetrators of a coup against a legitimate government are banished from the African Union. They are not readmitted until a free and fair election takes place in order to establish a new legitimacy. And yet, when a legitimate African government is overthrown as the result of insurgent action organized from outside its borders, the African Union remains silent. Chinese theft of intellectual property, in general, is one of the biggest challenges that US firms face in Africa. Although China and African countries have initiated efforts to combat counterfeits and protect intellectual property rights, the success of these efforts is unclear. In some cases, Chinese products, although of poorer quality, mimick US firm’s product branding and color schemes. Although US firms successfully litigated in Kenyan courts against trademark infraction, the penalty was too lenient to have a deterrent effect on the Chinese manufacturers.